Addiction Recovery Process: Where Does God Belong? Where Does God Belong In The Addiction Recovery Process? This entry was posted in Christian Track, Recovery & Support and tagged 12 step, Addiction, God, Support on June 29, 2016 by Team Addiction Hope. Substance abuse presents a compelling threat to public health. According to the Substance Abuse and Mental Health Services Administration, roughly 2 million people seek treatment for drug and alcohol abuse each year in the U.S.
Perhaps the most common route for addiction recovery is the “12 Step Process,” which was first introduced in the 1939 book Alcoholics Anonymous: The Story of How More Than One Hundred Men Have Recovered from Alcoholism. 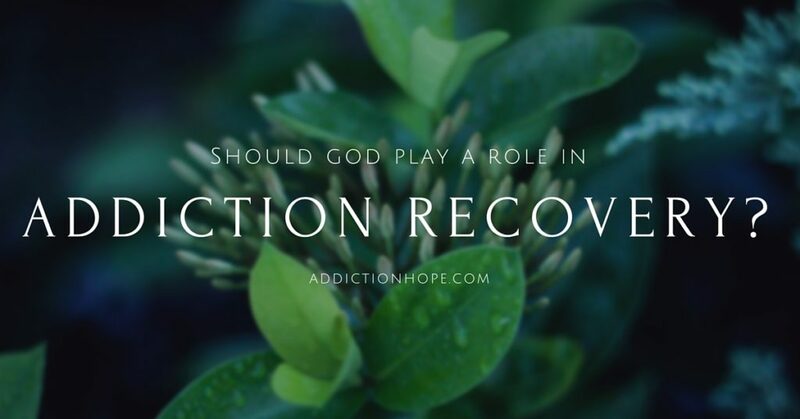 The role of faith in the addiction recovery process is well-known, although some wonder if God should even be involved in the journey at all. Recovering from any kind of addiction requires Herculean strength. While it’s possible to overcome addiction without the support and help of God, faith can make the process easier and more fulfilling. Anecdotally, the 12-Step process enjoys a strong success rate. It involves faith in several steps of the process, from accepting that a higher power can provide you with the balance you’ve lost to asking that the higher power take away your sins. Moreover, addiction is often a symptom of a greater, deeper trauma. Addressing these issues is easier with the help of a higher power. God can help you heal wounds and, as an addict, realize that not all hope is lost. Submitting oneself to a higher power provides an addict with the clarity needed to move forward with a clear conscience. Recovery is also a lifelong process. Even the strongest of individuals will come face-to-face with temptation and self-doubt. Recognizing and dealing with these perceived weaknesses is easier to do with prayer and the realization of God’s role in a person’s continued healing. While including the notion of God in the recovery process is an essential aspect for many addicts, some may not completely benefit from it. Non-believers may be turned away from the 12-Step plan because of its heavy emphasis on faith in a higher power. However, non-believers may still benefit from the plan with a few tweaks. For example, substituting prayer for meditation or self-reflection. These individuals will also benefit from taking responsibility for wrongdoings and consistently remaining cognizant of their behavior. The addiction recovery process can also be an opportunity for non-believers to see the light. Ultimately, the role of faith in recovery is optional, but beneficial. Do you know someone whose belief in a higher power has helped them recover from addiction? Do you think a belief in God is essential to achieving long-term sobriety? Please comment below.